Little red wagon vectors, courtesy of justsomethingimade.com. 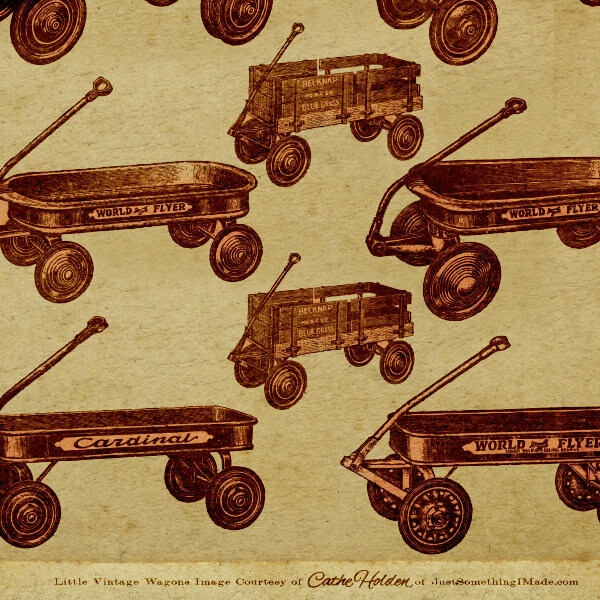 This retro vector set has 15 different kids wagon models from a 1940s catalog, including the famed World Flyer model. Some are made of all metal, some have wood wooden slats on the sides. Don’t you just feel like grabbing the handle and running in the yard? OK maybe not, but these retro vectors are sure to take your mind back to simpler times. So cute. Thanks for the freebie! I used to have a wagon like the one without the wood! How neat! Thank you!